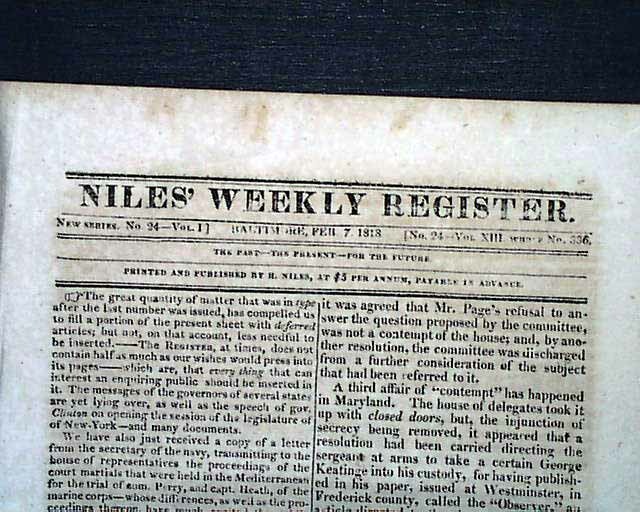 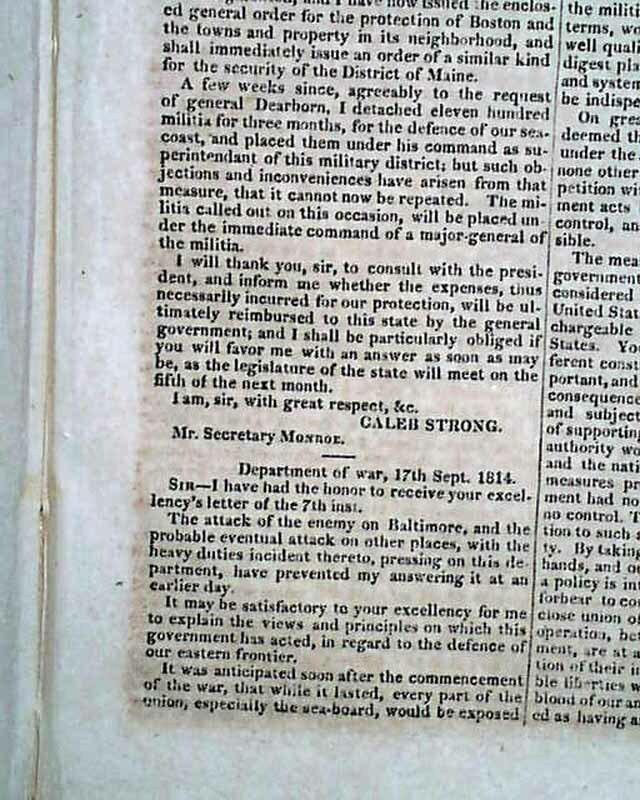 NILES' WEEKLY REGISTER, Baltimore, February 7, 1818 Included is a letter from Sept. 17, 1814 concerning the War of 1812 and Battle of Baltimore, signed: James Monroe. 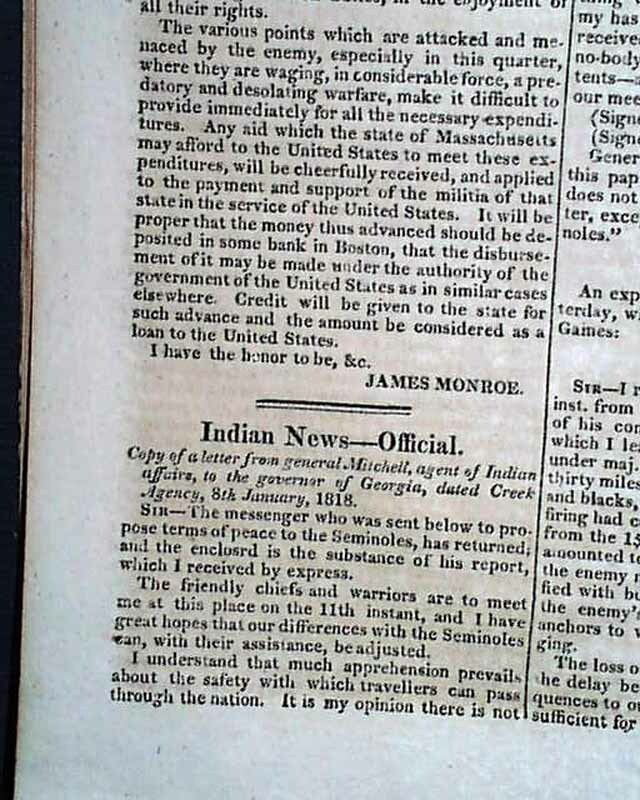 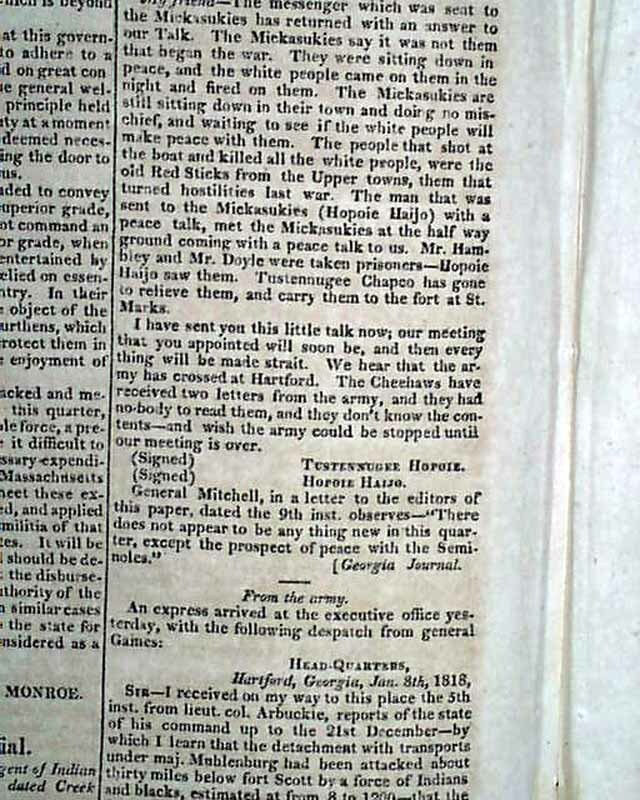 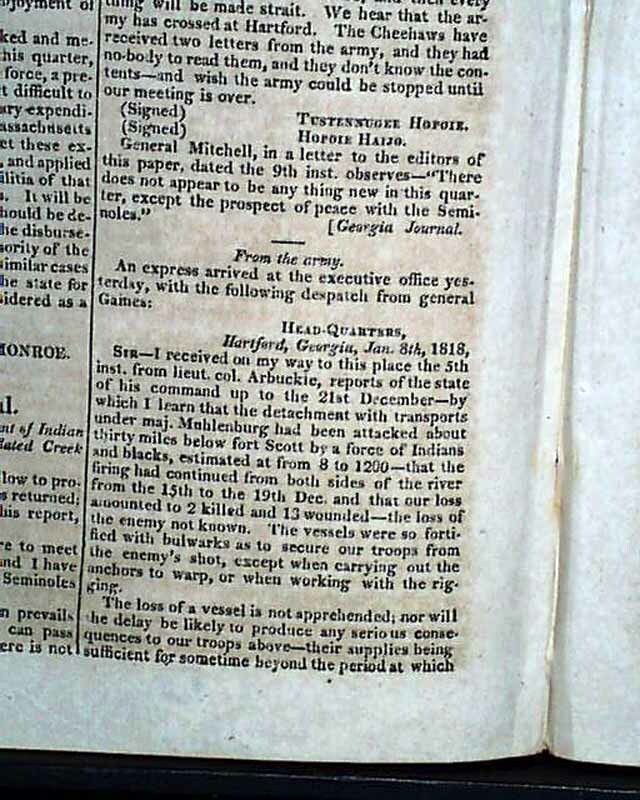 Also: "Indian News--Official" includes a letter from General Mitchell, the agent of Indian Affairs, from the Creek Indian Agency in Georgia concerning troubles with the Indians. 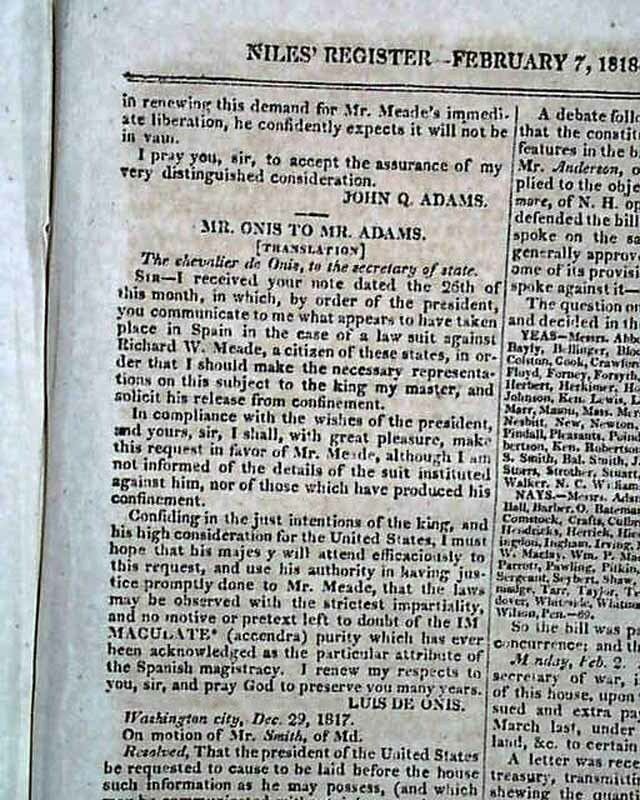 This is followed by 3 other letters concerning the same. 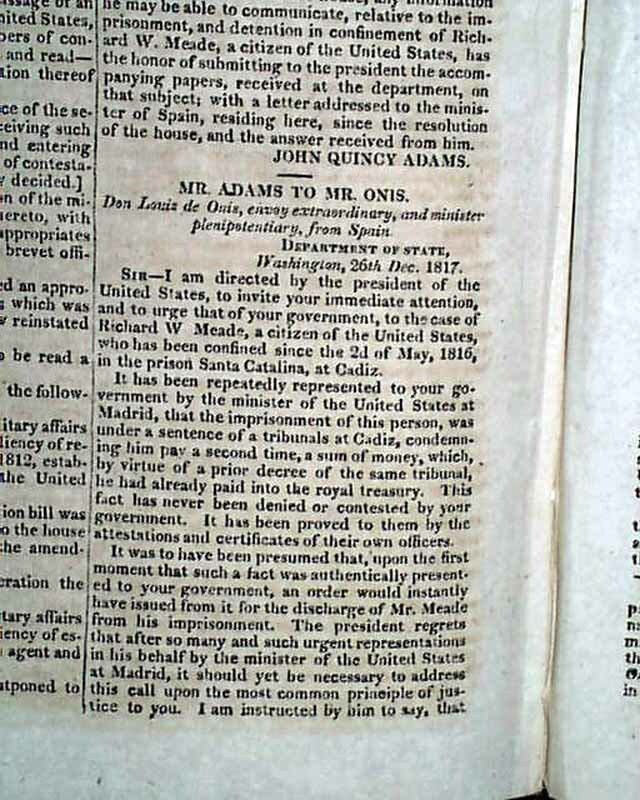 There are also two documents signed by: John Quincy Adams & another by: James Monroe to Spain concerning an imprisoned American citizen (see photos). 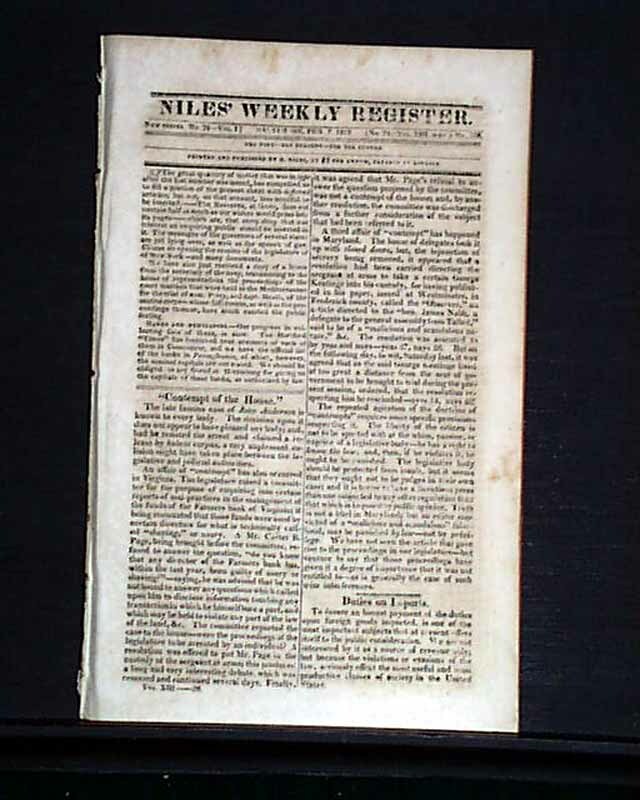 Included at the back is an 8 page "Supplement" issue. 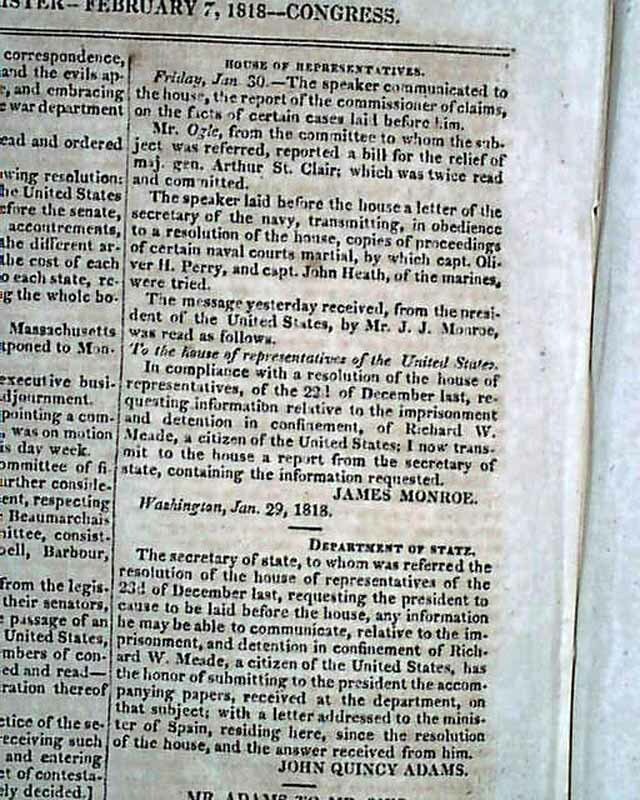 As such complete in 24 pages, 6 1/4 by 9 3/4 inches, very nice condition.